We would like to introduce the newest addition to our line-up of courses available through the International Institute of Reflexology. It's on Foot Reading! This workshop is open to ANYONE. -- Your feet reflect your HEALTH....so go one step further....they reflect your PERSONALITY too! -- Ever wondered why your little toe is so much shorter than your other toes? -- Do you REALLY want to know what having a longer second toe means? -- Does your big toe lean in? What does that have to do with your chosen work? -- You will be surprised... Did you know that the higher your arch, the more independent you are? Attending a Foot Reading Workshop with Bobbi Warren from California Bobbi has been one of our Regional Directors for 25 years and is celebrating her 30th year as a Reflexologist! Here are all the details about this fun and interesting course coming to an area near you soon. 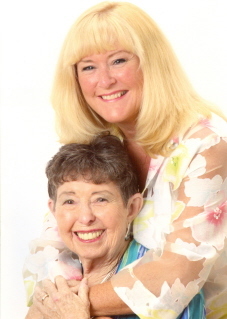 ~ Cost $285 for 2-day Foot Reading Workshop - Must pre-register 30 days in advanced. Please Note: I.I.R. and/or Bobbi Warren reserves the right to cancel any pre-registered workshop that does not meet the minimum pre-registrations 30 days prior to Workshop. Registration is still available after the 30 days if registration has been met. 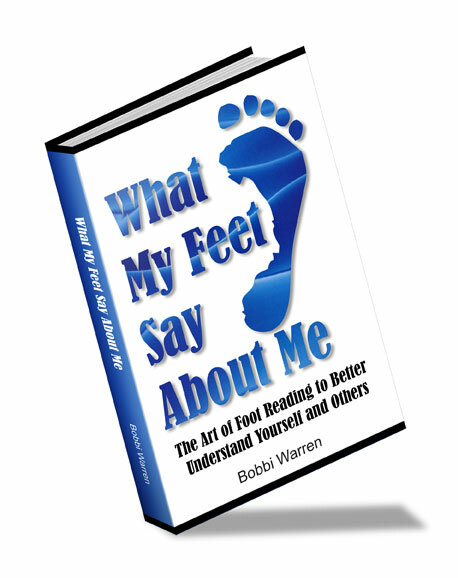 Author of "What My Feet Say About Me" The Art of Foot Reading to Better Understand Yourself and Others.